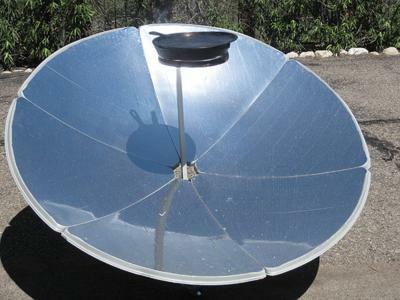 Based on a post in a Yahoo solar group I'm a member of, I recently attempted to solar cook a pizza, and decided the Solar Burner parabolic cooker would be the best tool for the job. 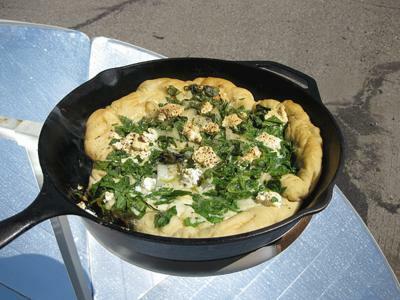 I preheated my largest cast iron frying pan on the 1.5 meter Solar Burner for a few minutes, slid the pizza into it and covered the frying pan with a round metal baking sheet. Temperatures measured with an infrared thermometer showed the bottom of the frying pan at about 640 F, and the surface of the pizza at about 160 F.
The bottom of the pan got too hot to properly cook the dough. 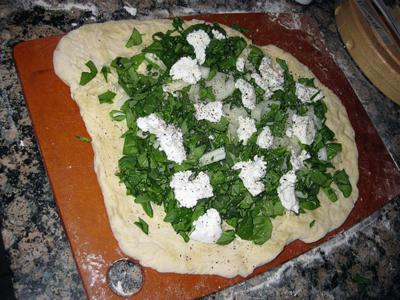 I think this would have worked better if I had not pre-heated the frying pan, had put a small pizza stone in the frying pan, or put a pizza stone directly on the parabolic's cooking area. 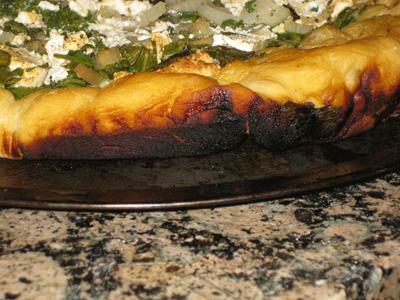 At least you were adventurous and willing enough to try it out on your parabolic and I personally think the results were impressive enough despite the burnt crust.